For the true explorer who wants a complete trip journeying through the diverse ecosystems of Peru, this epic itinerary ticks all the boxes. You’ll visit old and new Lima, the coastal town of Paracas, and then on to the ‘white city’ Arequipa. From there drive to the beautiful Colca Canyon, home to the majestic condor, and the shores of Lake Titicaca, thought to be the birthplace of the Inca civilization. The journey then continues to the must-see highlights of Cusco, the Sacred Valley and of course Machu Picchu. 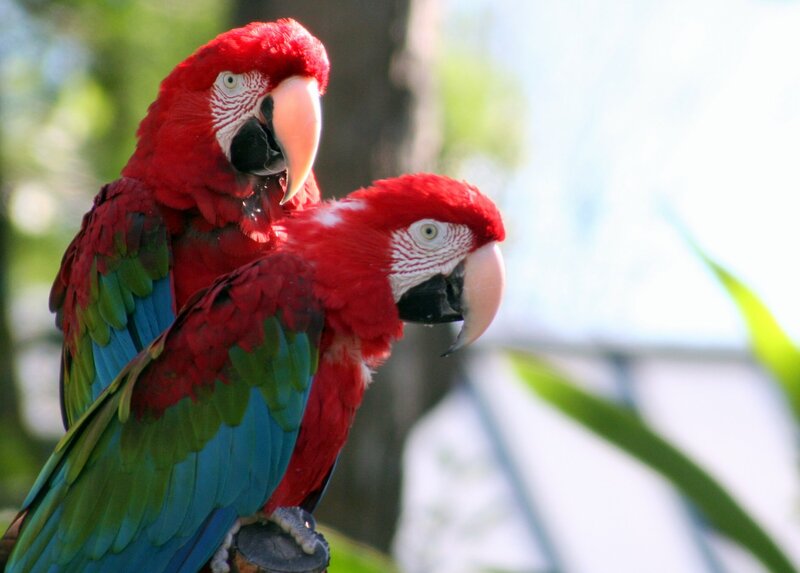 Finally, you’ll travel deep into the Amazon rainforest, completing your incredible odyssey around Peru. Contact us to book your Best of Peru tour today! 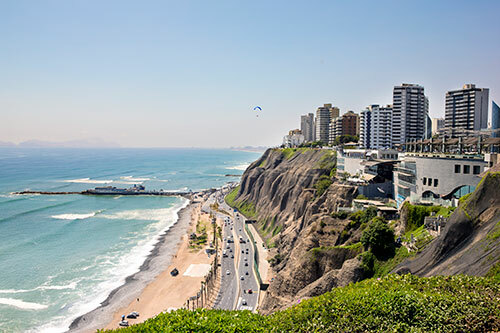 Touring you through Peru’s top destinations, this 17 day / 16 night itinerary is the a completely immersive look at the many wonders of this South American country. From vibrant city streets to towering mountain peaks this trip has something for everyone to enjoy! To book this Best of Peru tour, contact us! Day 3: Take the bus from Lima to Paracas. In the afternoon enjoy an overflight above the Nazca Lines or sand boarding down the desert dunes of Huacachina. Overnight at Paracas hotel. Day 4: Early morning boat tour of the Ballestas islands, followed by return bus to Lima. Overnight in Lima. Day 5: Fly from Lima to Arequipa. Half day tour of historic Arequipa, including the Plaza de Armas, the Cathedral, Santa Catalina Monastery, Compañia de Jesus church, and panoramic city lookout points. Overnight in Arequipa hotel. Day 6: Scenic transfer by car to the Colca Canyon. Overnight in Colca Canyon hotel. Day 7: Colca Canyon tour including visiting the Cruz del Condor. Overnight in Colca Canyon hotel. Day 8: Overland transfer from Colca Canyon to Lake Titicaca. Overnight in Lake Titicaca hotel. Day 9: Full day tour of Lake Titicaca by boat, visiting the Uros floating islands and Taquile island. Overnight in Lake Titicaca hotel. Day 10: Fly from Puno to Cusco. Enjoy a scenic drive to the Sacred Valley, stopping en route at Pisac ruins and market, and Awanacancha, a traditional weaving center. Overnight in Sacred Valley hotel. Day 11: Full day tour of the Sacred Valley. Choose from Ollantaytambo fortress, Chinchero market town, the salt ponds of Maras and the Moray archaeological site. Overnight in the Sacred Valley hotel. Day 12: Train from Sacred Valley to Machu Picchu. 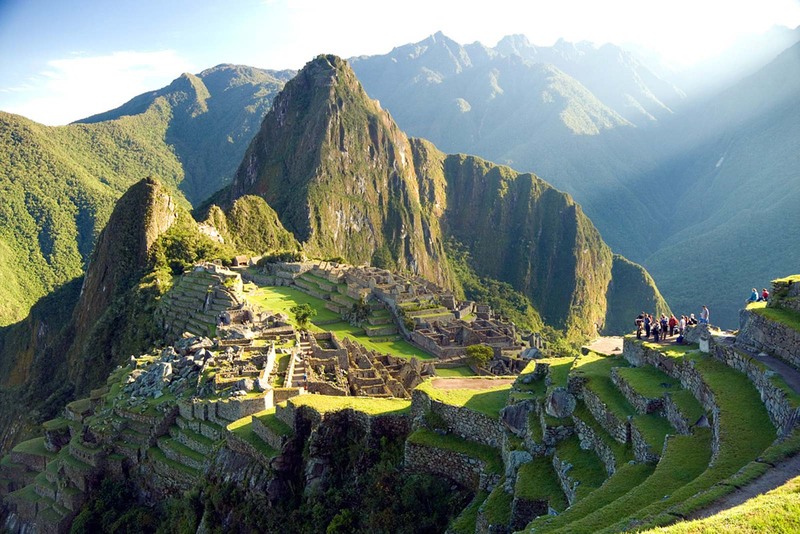 Guided half day tour of Machu Picchu. Return train to Sacred Valley and transfer to Cusco. Overnight in Cusco hotel. Day 13: Half day Cusco city tour, including highlights like Qorikancha, the Cusco cathedral, Sacsayhuaman, Qenqo, Puka Pukara and Tambomachay. Day 14: Fly from Cusco to Puerto Maldonado, then transfer to Refugio Amazonas or Tambopata Research Center (TRC) by bus and motorized canoe. Day 15: Amazon activities organized by Refugio Amazons or TRC. Overnight at Refugio Amazonas. Day 16: Amazon activities organized by Refugio Amazonas or TRC. Overnight at Refugio Amazonas. Day 17: Transfer by motorized boat and bus back to Puerto Maldonado for your flight back to Lima, for your international connection or onward travel. Take the bus to the coastal town of Paracas, where you can see the mysterious Nazca Lines aboard a small plane or enjoy a sand buggy tour of the desert dunes. Enjoy a boat tour of the Ballestas islands, teeming with wildlife and nicknamed the ‘poor man’s Galapagos’. Next fly to Arequipa, Peru’s beautiful white city, where you’ll enjoy a city tour of the beautiful colonial architecture, including key sites like the Cathedral, Plaza de Armas, the picturesque Santa Catalina Monastery, Compañia de Jesus Church, and panoramic city lookout points. Enjoy a scenic drive to Colca Canyon, passing towering volcanoes and quaint Andean villages along the way. In Colca Canyon you’ll visit the famous Cruz del Condor, a great spot for viewing the majestic condors that soar through the canyon. Transfer by road to the shores of Lake Titicaca, the highest navigable lake in the world, and the spiritual birthplace of the Inca civilization. Taking to the water, you’ll visit several islands – the unique floating Uros islands, made entirely of reeds, and Taquile island, known for its weaving traditions. Next fly to Cusco, then head straight off to the Sacred Valley. Here you’ll visit stunning archaeological sites such as the fortress of Ollantaytambo, Pisac and the unique spherical formations at Moray. Watch locals collecting salt from the naturally forming salt ponds of Maras, and learn about traditional textiles in Chinchero and Awanacancha. Return to Cusco and enjoy a tour of this beautiful ancient city, where the legacy of the Incas and Spanish colonizers sit side by side. Choose from the many ancient sites to visit such as Qorikancha, the Cusco cathedral, Sacsayhuaman, Qenqo, Puka Pukara and Tambomachay.